The Fox 40 Classic Whistle with Fingergrip is ideal for those who like to have their Fox 40 always at hand without having to grasp it. 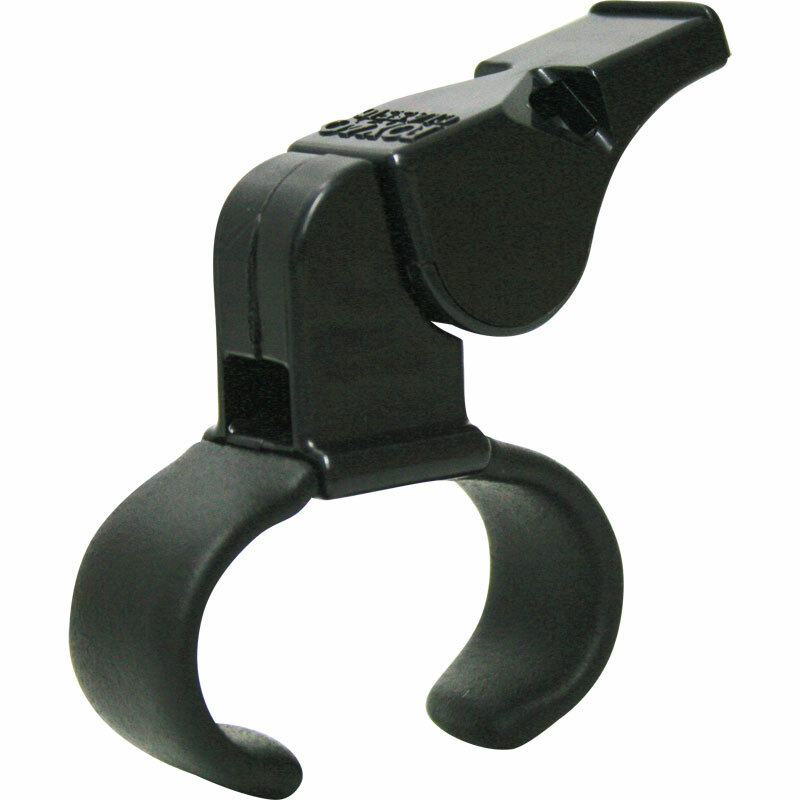 3 chamber fingergrip whistle with cushioned mouth grip. Used by referees at every level who want every call to be heard and depend on its reliability. Can be heard above ambient noise, engine roars and breaking waves. The chambers are designed to self-clear when submerged in water and there are no moving parts to freeze, jam or deteriorate. Will definitely use Newitts again. Finger grip makes the whistle so much easier to use than a lanyard around the wrist. The sound of the whistle can be varied during a game depending on how strong the blow is. A fantastic product.